April 13, 2019 5:54 pm. Trainer Chris Waller says Winx’s longevity will set her apart from other champion thoroughbreds. 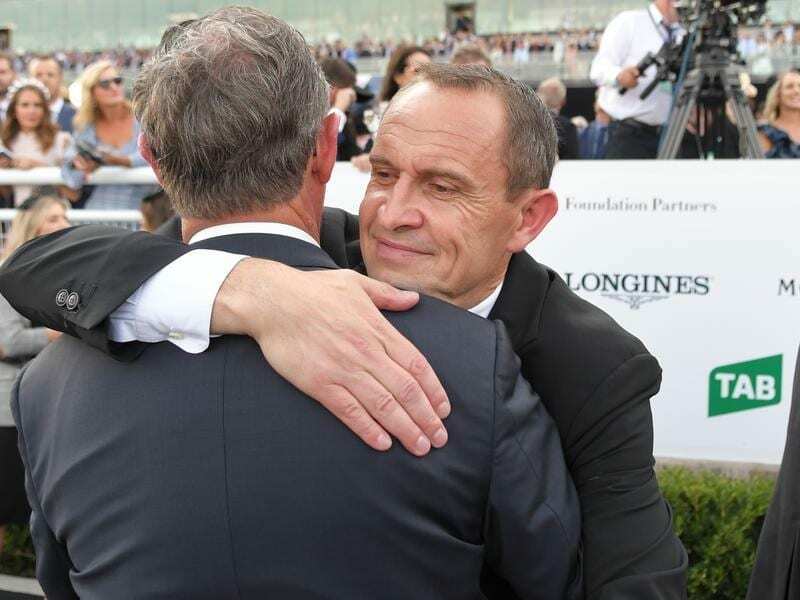 Chris Waller’s rise to the top of the training ranks is the result of dedication and desire to be the best. But for someone with the steely resolve to win Sydney premierships and a century of Group One races, the deeds of Winx are in a different stratosphere. Waller left Randwick on Saturday with three of the four Group One trophies on offer, none more important than the Queen Elizabeth Stakes won by Winx in her farewell to racing. It was her 25th win at the highest level, her 33rd in a row and her 37th overall. The last day she was beaten was at the corresponding meeting four years ago when she ran second in the Australian Oaks won on Saturday by a filly many think may be the next star, her stablemate Verry Elleegant. Waller sent Winx to Queensland after that defeat thinking she could win the Queensland Oaks which she did after claiming the Sunshine Coast Guineas. “I’m a small cog in the wheel,” Waller said. “It is hard to explain. It has been amazing to be a part of. Waller’s work ethic is second to none and although he hopes for the big ones, they don’t always happen and the fairytale endings don’t always come true. “I just did the best I could,” he said. His job has been to keep Winx happy and healthy and racing until she is almost eight and he deflects criticism she can’t be judged the world’s best because she has not raced outside Australia. “Her longevity is what sets her apart,” he said. “She may not have lasted this long if she had gone overseas.